The backhanded gift of living with fibromyalgia for almost two decades has allowed me to develop a primarily positive outlook on what living a good life entails. That life view altered completely after a rear-end MVA (motor vehicle accident) in 2013 that not only tossed my body around, but ejected my wellness toolkit out of my brain. This last year has been spent trying to reach an acceptance of this perfect storm of hidden disabilities; disabilities that overlap in their symptoms, causing one to activate another. The MVA injuries I live with include; mTBI (mild cognitive loss; which doesn’t seem mild at all), PTSD, and headaches from a stiff neck. My past years of living well with chronic pain taught me to pay attention to the triggers that made me worse, and helped me feel better. I learned my limits. I understood that the consquences of pushing through one day meant that the next day would be spent on the couch. I used journaling, researched books on pain tools, and social media sites that hosted peer groups to better understand my own experience through others experiences. After several years, I was able to craft my own toolkit for my best wellness days, my in-between, and my worst days. Sadly, that toolkit doesn’t work anymore; some pratices still fit but my new disabilities need new, simpler tools. The largest hurdle in this journey is not just the prominent difficulty in having my pain and cognition interfer in researching, but more critically, allowing the acceptance of a lower threshold of living. It’s been overwhelming to embrace this new life path, it feels like giving up. My original tool kit was the opposite of giving in to chronic pain. It allowed me to return to college, then on to university, a full-time student, who graduated at fifty years of age with a Masters in Social Work from the University of Southern California. It was never easy. I always hurt, but, I succeeded. I had no idea that my success was not going to be defined in terms of new career, but instead be defined in how well I would be able to negotiate the perfect storm of cognitive and physical disabilities just a year after graduation. My injuries allow no choice other than letting go of not just a career, but the ability to accomplish most every day activities with any regularity. Just this past year I made an agreement with myself to accept that most days I will be at home. The cognitive drift (brain fog) inherent in my chronic pain has tripled with the addition of mTBI and PTSD. The fibromyalgia pain is worse. Waking up to more pain each day causes my PTSD trauma anxiety to rise which then triggers my brain to kick into fight or flight mode. This leaves my brain with a limited cognitive process, one that is already comprised by the fibro fog. An alternative route to this same limited cognition is that as my anxiety ramps up, my fibromyalgia pain rises from the fight or flight hormones and my mTBI, always present, leaves me scrambiling to recall, input, or engage in anything more then simple conversations and tasks. With all three constantly present in my daily life, trying to create a new toolkit has been a daunting work, one that will always be in progress. These are all hidden disabilities and as pain peers know, it creates the outward appearance to others that if I’m spending most of my time at home, it should be easy to develop different tactics for daily life. I spent the first five and half years trying to help others understand why I could not understand the conversation, why I was confused, that I did not remember what happened or the information I was told, why I couldn’t multi-task, why I felt upset, why I always stayed in my home. I no longer engage in this very often. I use that energy to track my pain levels. I research tools used by others with cognitive loss and anxiety. I finally understand my abilities and my limitations. I am almost at peace with my new self. There are always hidden gifts in change and my latest gifts are beginning to appear. I have the opportunity to explore leaving the city for a life in the country. I have always been a lover of nature and the quiet of being in it full-time helps reduce my anxiety. Reducing constant anxieties lessens my pain thresholds, not enough to join the workforce, but enough to make me feel more confident. With this confidence in place, I have created my toolkit. It’s flexible and ongoing, leaving room to add and discard helping items daily. This is my second gift, and it feels like the best gift. I have taken my past toolkit, my MSW therapy learning, and new books I’ve skimmed through for my cognition needs and created a basic support plan that I want to share with others. It addresses many different types of disabilities, all of which are inter-related, and is easy to use. I never thought that I would be able to offer others something; it’s been a long journey to offer it to myself. The self validation has been that last piece of acceptance I couldn’t find for so long. Just a quick post to address a social media magazine’s article today. This magazine listed our symptoms as including migraines, anxiety, and depression. I must say that this was very disturbing to me! While depression can be a comorbid condition, it is not a general condition of fibromyalgia. I have not read, in any research, that anxiety is a common comorbid occurrence. Migraines are an entirely different type of headache from the type we experience. None of this is to say that comorbid conditions do not exist; they do. I just blogged about co-occurring conditions yesterday. 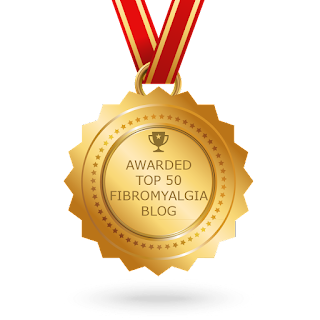 I have fought the stigma that fibromyalgia is a psychological condition for years, so too have many of my Peers. I feel strongly that the magazine, who claims to be advocating for disabilities, should retract this from their article. What do you think?